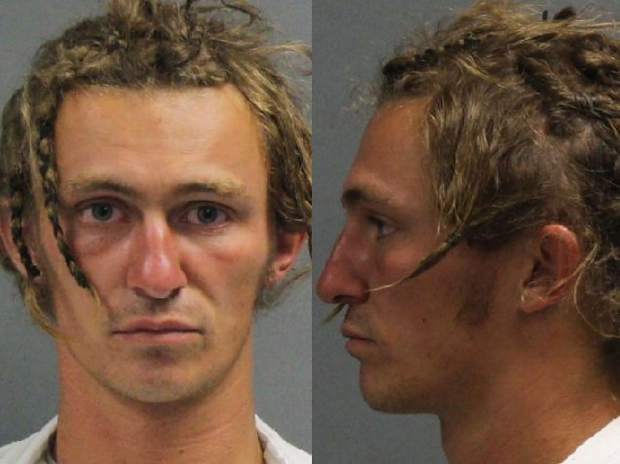 The man responsible for an assault that sent a Breckenridge man to the hospital with serious head injuries earlier this year has been sentenced to three years in prison, according to court documents. Charles J. Moser, 23, of Washington pleaded guilty in district court earlier this month on charges of felony assault and unlawful possession of a controlled substance stemming from a pair of incidents this July. On the night of July 15, a Breckenridge police officer responded to an assault in progress on South Main Street near East Adams Avenue in Breckenridge. Dispatch told the officer that the man, later identified as Moser, struck another man in the head with a 7-foot-long walking stick, and that the reporting party couldn’t tell if the victim was still alive. Once on scene, the officer said the victim was conscious and breathing, but noted blood on the surrounding cement coming from lacerations on his head. Emergency medical services arrived on scene soon after to treat the man. He was transferred to St. Anthony’s Hospital in Lakewood. Two employees of Crepes A La Carte, near where the assault took place, told police that they didn’t see the altercation, but could hear arguing and said Moser later came to their window and told them to call 911. Another witness on scene said that he saw Moser hit the other man in the head with a large stick “for no apparent reason,” according to court documents. Deputies from the Summit County Sheriff’s Office later located Moser hiding in the bushes in an alley along Main Street and arrested him. Multiple witnesses were able to identify Moser as the assailant. Upon questioning, Moser challenged the assertion that he attacked without reason, claiming that the victim attacked him first and that he acted in self-defense. Moser told police that he was panhandling in the area when the victim approached him and told him he needed a permit. He continued to say that there was a brief verbal altercation, and that the man spit on his sign, took his backpack and elbowed him in the face before he fought back. Moser was taken into custody without further incident. The next day police discovered an illicit substance in Moser’s belongings. On July 16, officers with the Breckenridge Police Department were searching a wagon — deemed abandoned property — and discovered a pill bottle belonging to Moser. Inside, officers recognized a gold and powdery substance as a potential illegal narcotic and decided to test it. The substance tested positive for .19 grams of amphetamine, a Schedule II controlled substance. Moser was initially charged with both first- and second-degree assault, along with the crime of violence, possession of a controlled substance and possession of drug paraphernalia. Moser pleaded guilty to second-degree assault and possession of a controlled substance, and the other charges were dropped by the District Attorney’s Office. For the assault, Moser was sentenced to three years in the department of corrections by District Judge Mark Thompson last week, along with two years for the drug charge. He will serve his sentences concurrently, and he’s already credited 127 days served. Additionally, Moser will be forced to pay almost $2,500 in court fines and costs.